Chipped teeth can lead to serious dental damage if left untreated. Seeking treatment for chipped teeth can help. Dr. Patrick Seely offers a variety of restorative dentistry treatments to repair dental damage, like chipped teeth, and restore the smile’s health and beauty. Find out which treatment for chipped teeth is right for you by scheduling a consultation at our Windsor, CA practice. Before your appointment, you may familiarize yourself with some of the restorative treatments available by reading this overview. A tooth may become chipped for many reasons. 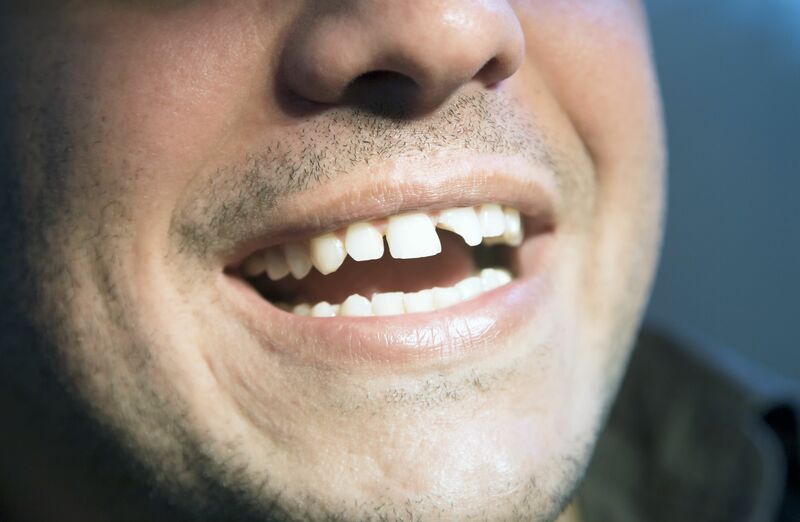 Biting something too hard, tripping, or accidentally hitting the teeth with a glass bottle are just a few of the ways that the teeth can become chipped. Whatever the cause, it’s important to seek treatment as soon as possible to protect the teeth from further damage, specifically tooth decay, and to restore the smile’s appearance. Dental bonding: Dental bonding treatment may be used to repair minor chips, fractures, and other dental flaws affecting the front teeth. Dental bonding treatment uses a soft, tooth-colored resin to transform the smile. This resin is directly applied and shaped on the teeth to achieve the desired look and repair minor damage. Once the desired appearance is achieved, the resin is hardened for a seamless, natural looking finish. Porcelain veneers: Porcelain veneers may also be used to repair minor chips and mask dental flaws in the front facing teeth. Porcelain veneers are custom-made from impressions taken of the teeth. These impressions are then used to craft a thin, tooth-shaped shell designed to fit over the front surface of damaged or flawed teeth. Veneers are cemented in place for a durable, long lasting finish. Onlays: Sometimes called “partial crowns,” onlays may be used to repair chips or other forms of dental damage too severe for treatment with veneers or dental bonding but not severe enough to require a full crown. Onlays are made of porcelain for a seamless blend between the natural tooth and restoration. Dental crowns: Dental crowns are tooth-shaped restorations made of tooth-colored porcelain. Dental crowns completely surround individual teeth to repair dental damage while also restoring dental strength and appearance. Don’t use your teeth as tools: Using your teeth as tools, for instance using your teeth to open plastic packages, twist off a glue cap, or cut tape can result in a chipped or fractured tooth. Instead, be sure to reach for scissors or whatever tool is needed to protect your teeth. Wear a mouth guard while playing sports: Sports injuries are a common cause of chipped teeth. Wearing a mouth guard while playing sports can help protect the teeth from damage and reduce the risk of chipping a tooth. Avoid biting or chewing hard items: Biting or chewing hard items may chip the teeth, especially when its a long term habit, like chewing on pen caps. Break the habit of chewing on hard objects by chewing gum instead. To find out which treatments are right for you, we welcome you to schedule a consultation with Dr. Seely.